Do you have his email address. Tried their webpage and facebook but the contact pages will not work! Hope to call in a few speedshops when in LA so will add to list. Yes sure we can meet up in Bakersfield. 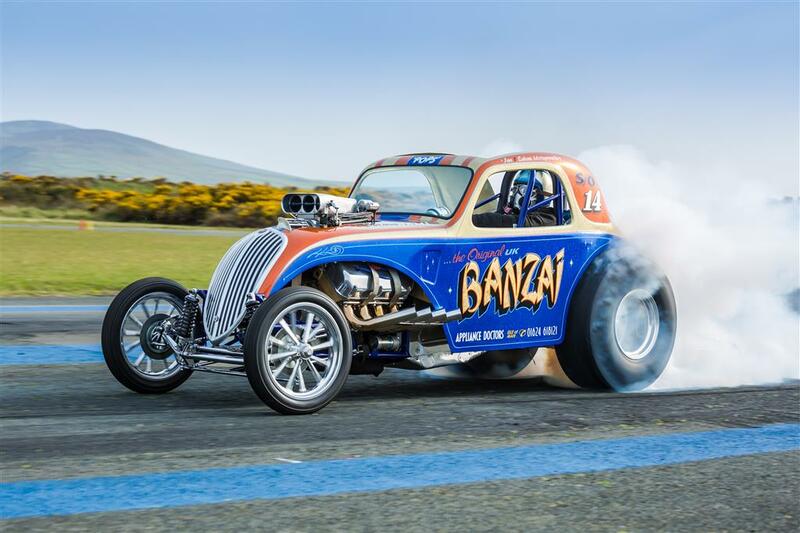 Wanted solid roller cam to suit methanol injected 671 blown 392 powered topolino altered. Looking for a mid range profile between 5000 rpm - 7500 rpm which is not too hard on the valve train. I run after market billet roller rockers. New or used considered, will take advise on the profile. We are located on the Isle of Man UK. BUT coming over to the March Meet so hopefully can collect there. Would really appreciate help as struggling to find anyone reply to emails sent out. All is well with the tach reading, I have a Joe hunt tach converter supplying the tach signal, same as last season. The problem is the ETC is reading 2000rpm higher than the actual engine rpm! Now I could live with this by adding 2000rpm to my stage and top end rpm settings on the ETC box. What really concerns me is the backfiring sound of the engine [flame form the headers] when the ETC limits AND the 15psi intake boost which came up on the gauge when the limiter kicked in. The ETC limiter for the test was set to come in at 5000rpm it kicked in at 3000rpm. So where did the 15psi boost come from? Really cannot trust this thing so appears a complete waste of money. Has anyone any experience with using an ETC limiter with a Mallory Mag. Ran the motor up yesterday with low settings to see how it limits the revs. It's reading approx 2000rpm higher than the tach! You can see in the vid the shift light flickering, it was set to 4,200rpm. When I hit the motor the rev limiter kicks in at 3000, it was set at 5000 at the time. Plus the boost gauge went up to 15psi this appears to be due to back fires when the limiter kicks in. Not overly keen on this as you might expect. Any advise would be appreciated. Now getting ready for our first meeting in three weeks. Some minor alterations have been made to the set up as advised by the replies above THANKS GUYS. Previously the front spring rate was 220lb per spring, we now have 500lb per spring. Shocks setting was at softest spot so plan to tighten right up. Today we have loaned a four corner set of scales to weigh/set up the car. With the front right tightened up more than the front left we have equal front weight of 444.2lbs and rear equal weight of 427.7lbs. My question is should i add more weight to the left rear or left front to counter act what happened last season. I will take your advise and stiffen up the front end considerably. When I built the car I picked the Bad Habit car raced by Charlie Hill as the style I wanted hence the coil over front end. Obviously I am just guessing as to what suspension movement Charlie had in the car but solid or as stiff as I can will be the way I go. I launched with the brake and 3000rpm to see if we could improve the 60ft and pull the wheels up. 60ft went from previous best of 1.344 to 1.309 at Shakespeare County Raceway. 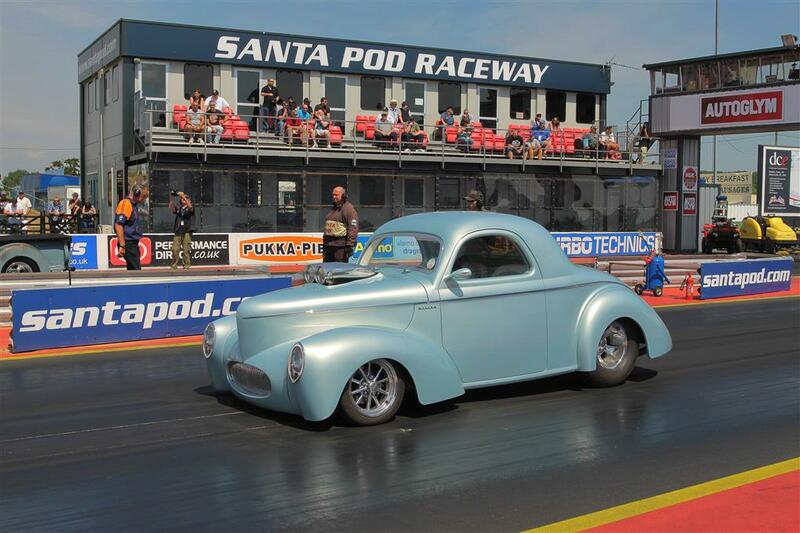 The cars best 60ft was at Santa Pod of 1.298 launched from tick over. I think that is it for this season. My plan is to uprate the front springs from 220lbs to 260lbs and try loading the front left 1/4" as advised by dreracecar. Also the dampers are set at softest so will add some resistance there too. We will check circ of the tyes and play around with tyre pressures if need be after spring uprating. You can see some tyre bounce on this run also although I didn't see it as a problem whilst driving. It's a solid mount rear. Gonna look at four corner weighing and see where we are with it. Sounds good to me, chuffed to bits we sorted it though. We can now relax and wait for three weeks for Dragstalgia at Santa Pod when we will be up against all things Nostalgic, including Rat Trap and the Bradords Topolino fuel altereds.